How often do we become caught up in the day-to-day mendacity of our lives, as we shuttle back and forth in our closed-up automobiles to and from closed-up spaces filled with the hum and glow of our computers and televisions and whatever other gadgets we have? If it was easy in St. Augustine’s time for people to lose sight of the wonder of creation, of the natural (or, for St. Augustine, supernatural) world all about, how much easier it is, who live in a universe that is consistently stripped of wonder? In the Syriac tradition, as exemplified by Sts. 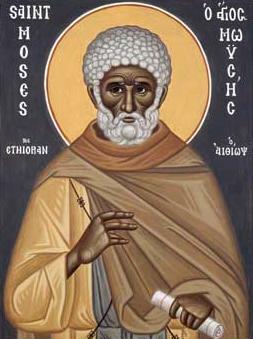 Ephrem, Jacob of Serugh, John of Apamea, Isaac the Syrian, and others, wonder- at creation, at God, at God’s special actions on behalf of our salvation- is one of the keys of true theology. For Jacob of Serugh especially, without wonder theology is pretty useless- it is dry and without real connection, without real penetration of the heart and mind. Only in love and wonder before the beauty of God, manifested in His creation and His divine economy in Christ, can we truly understand, can we truly live the life of Christ. That is one of the reasons that Christ calls us to be ‘as little children’- to re-open our eyes to the wonder of God, to the wonder of life. This is not an easy thing to do- it’s far easier to settle into comfortable cynicism and detachment, which are fair enough attitudes no doubt for many aspects of contemporary life (or any period’s life), but are destructive if extended to all of life. When we grow so detached, so numbed to the world beyond our reductive science, our electronic screens, and the mundane tasks that we tend to have to engage in, we are not merely losing connection with nature- we are losing connection with God, with reality, and with the possibility of true humanity. This is not to disparage as sinful or only destructive things like science, technology, work, and so on- but rather to suggest that we must constantly be careful to draw back from those things at times, to have our hearts and eyes open to the wonder inherent in the world that is, for all our concrete and fiber optics, still around us and visible. If we stop to contemplate things as simple as trees- we discover there is nothing simple or reductive about them, but, as St. Augustine tells us, they are a cause for wonder and adoration towards God, as exemplars of His creative power and sustenance. From there we can begin to re-engage wonder at the mystery of salvation, of God’s divine economy in the world. I think that if taken from this tack we are less likely to reduce those mysteries to mere dictum, objects to be analyzed and mechanistically digested or accepted. Instead, we begin to realize, with Jacob and Ephrem and Augustine, the wonder of the Incarnation of Christ, of our Lady, of the Divine Liturgy and the mystery of prayer. From there we have greater hope of doing true theology, of truly delving into the divine mysteries with our hearts and minds, beholding God, not in detachment, but in loving wonder.